Unlike with traditional wood decking, composite decking has little to no maintenance as it will not need to be painted, resealed or stained over time. 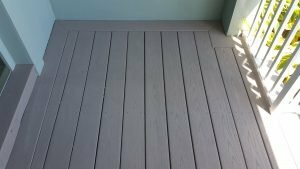 Composite deck board manufacturers typically carry a warranty guaranteeing the composite boards for more than 20 years from warping, fading, and mold. Composite deck boards are eco friendly and made from many different materials such as cellulose fibre, portland cement, sand, or polyvinyl chloride (PVC). Many manufacturers utilize recycled products when producing composite deck boards, making composite decks the green choice for the eco-conscious homeowner. Companies offer many color options for their composite deck products. For example, Azek Building Products currently offers 14 color options for their composite decking. Color options include shades like the exotic wood Brazilian Walnut, Autumn Chestnut and Kona® Island Oak™. Whatever color best matches your landscape can be achieved with Azek composite deck products. HardieDeck™ by James Hardie provides another advantage unique to composite decking compared to traditional pressure treated wood decking, hidden fasteners. HardieDeck™ offers a “Fast-track fixing system” which ensures that the deck board are optimally secured to the decks frame and joists without any visible hardware. By utilizing hidden fastener systems you never have to worry about a nail backing out and becoming a hazard, or have screw heads rust due to exposure to the elements. Upkeep of composite decks varies from manufacturer to manufacturer, but is by and large much more affordable compared to wood decking. 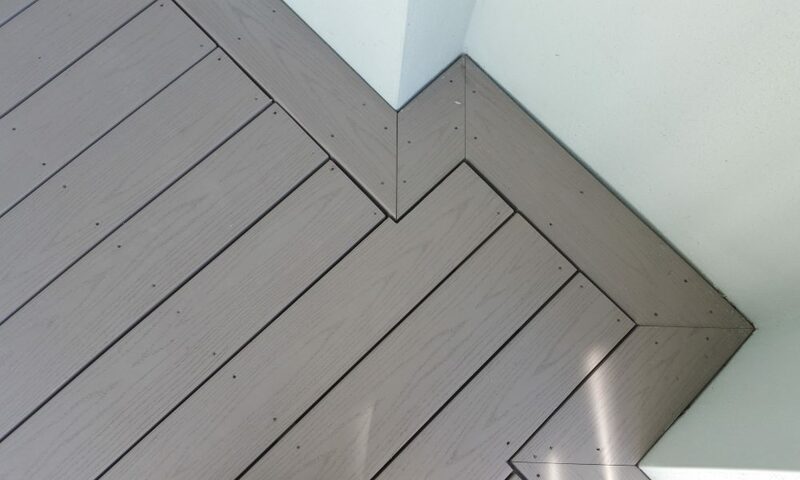 Azek estimates that the cost of ownership of composite decking over 20-years to be between 6 and 8 thousand dollars less when compared to that of wood decking. Composite deck boards will never crack or splinter while these are very common problems facing natural wood deck boards, especially as they age. Both wood deck boards and composite deck boards will require cleaning from time to time, with the period of time between each cleaning varying on the environment in which the deck is installed. Wood decks typically will need to be cleaned more often, because composite decking is engineered to be stain resistant. Composite deck products like HardieDeck™ by James Hardie provide the benefit of being burn, termite resistant, and water resistant. HardieDeck™ is guaranteed to resist warping and rotting when properly installed. Being water resistant and unlikely rot, composite decking is the perfect solution for decks near pools, lakes, or ponds. When comparing composite decking to traditional wood decking, there truly is no comparison. Composite decking is superior in most every way. When it comes time to install your deck, choose composite decking installed by Sutton Contracting. According to Remodling Magazine, the Return on Investment for composite deck additions averages 62.8% nationwide. 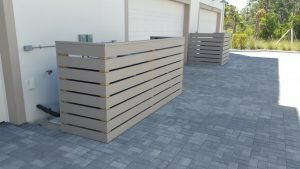 When you decide to build a new deck, or even just update your existing deck be sure to keep all of the advantages of composite decking in mind.